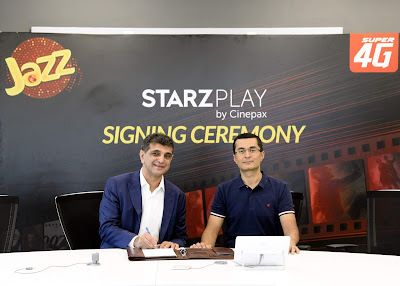 Jazz, Pakistan’s leading digital communications company,is jointly launching STARZPLAY by Cinepax. Jazz has chosen to partner exclusively with Cinepax, a leading cinema company, to bring entertainment and informational content to its customers nationwide. This partnership offers Jazz’s subscribers a month of free latest movie and TV series content access, weekly and monthly in-app price points, flexibility in terms of payment methods via Jazz Mobile Balance and quality premium video on demand. 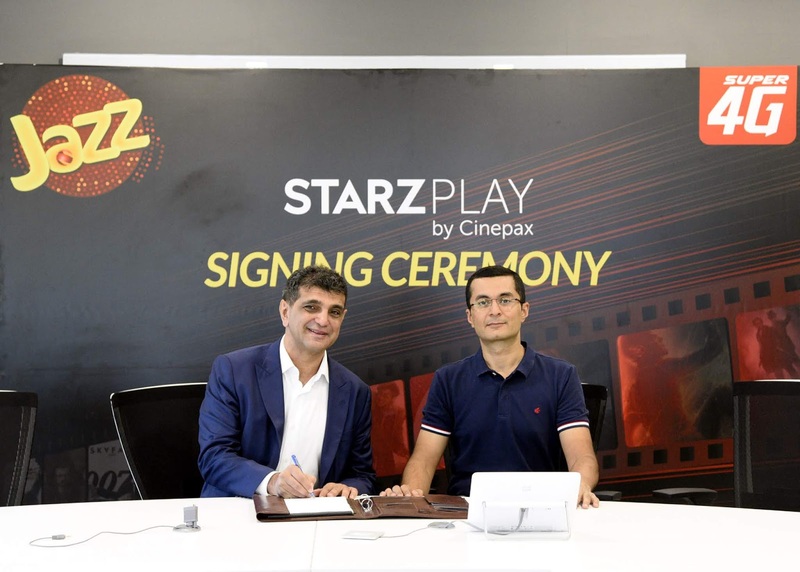 STARZPLAY by Cinepax offers an impressive library of content licensed from renowned Hollywood celebrities and provides its customers a diverse array of blockbuster movies, award-winning box sets, day-and-date premium series– including documentaries, children and teen entertainment and local and regional favorites. “We are able to offer flexible payment options and multiple price points due to our partnership with Jazz, which gives us a clear edge over competition,” added Baig mohamed. Jazz subscriber can download STARZPLAYon their iPhones and Android phones and pay for weekly and monthly subscription via their jazz airtime. 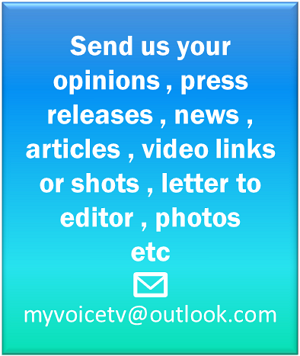 The service allows registering up to five devices per subscription. Simple parental control functions are also easily available for the more concerned parent.